She's the superstar I have been supporting since the first series of The Voice UK, I am now happy to see that Becky Hill is finally getting all the credit she deserves and more. The video is amazing and turns her into the superstar we've always known her to be. She's fully bringing it recently, and I cannot wait to see what other surprises Becky Hill has in store for us. 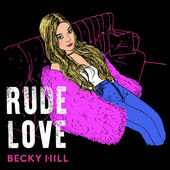 Watch Becky Hill in her superstar music video that is full of brilliant profile performance visuals for her song "Rude Love". Becky Hill has fully left her stamp on music around the world, with many featured hits amongst her discography, and we're sure there will be more where they came from. Her voice perfectly suits house tracks, hence why she has teamed up with Oliver Heldens, MK, and Matoma, amongst others, on tracks "Gecko (Overdrive)", "Piece Of Me", and "False Alarm" respectively. She has also released many singles herself, and they are, certainly, treasured songs by many of her fans. Now she's promoting this song, which just had a whole new remix drop by MNEK. Talk about fully bringing it! Directed by Andrew Morgan, the music video really puts the spotlight on Becky Hill, turning her into a fully-fledged superstar, and it's so nice to see a great performance piece from her. We see Becky Hill singing her song with all her performance energy we've seen from her to date, and then some. She is fully tuned in within the lyrics of this song and clearly wants to get the message across, which she certainly does. 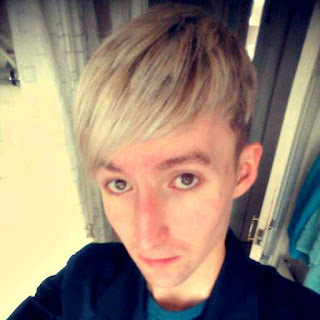 I have previously written up about the single release and the music video for CelebMix, as well as additional single and video articles for Outlet Magazine, so I feel like I haven't got all that much left to say about this music video. It really does make a change to see Becky Hill centre of the music video with the spotlight on her. She is definitely future star material if she isn't already there yet.